Power at Sea: Part 1: Looking for power sans umbilical cord? Horizon is well equipped with solar and wind enough to keep you juiced up and ready to go. 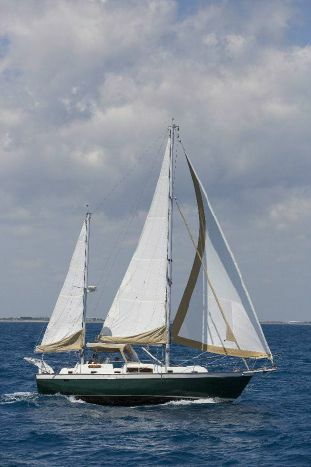 Introducing Horizon: Our Irwin 37: Post with the original pictures of Horizon when we bought her in 2014. With tons of interior space, 2 cabins, 2 heads, and very good headroom for a boat of this age, it was an awesome home for the three of us at dock and at anchor. We hope to be able to pass her on to someone looking for an amazing adventure of their own! If you or someone you know might be interested, contact us or visit our YachtWorld.com listing.